Write Once – Applications look great on mobile devices out-of-the-box thanks to a responsive and adaptive user interface. Advanced mobile functionality and device features are deployed effortlessly. Run Anywhere – Developers see what their apps will look like on different devices and in different orientations during the mobile app development process, ensuring users a great experience on any device. Run Everywhere – Advanced mobile functionality, such as offline access, push notifications, and geofencing, are built in. Separate programming effort or special skills are not required to deploy sophisticated apps. 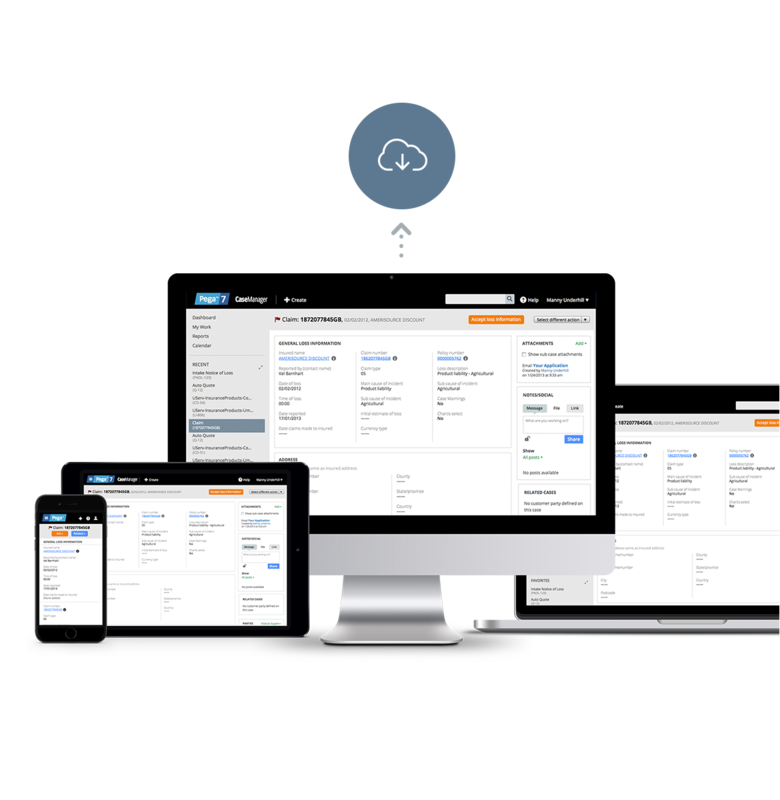 Better Apps, Faster- Applications developed with Pega 7 become fully functioning standalone mobile apps with a single click. Apps feature a fully integrated back end and do not require separate programming environments, separate development teams, or app silos to maintain indefinitely. Mobile First, Not Mobile Only – Enterprise mobility can fundamentally change the face of business, delivering the right service to the right person at the perfect time and place. Enterprise Mobility Simplified – Mission critical enterprise mobile application development and deployment can be game changing. Pega makes it easy with enterprise integration, security, scalability, and flexibility for mobile devices. Offline Access, and More – Mobile users can’t stop doing their job when the connection drops. Offline access for mobile apps is just one of the advanced features built-in to the Pega mobility platform. Other features, such as push notifications and geolocation, can be enabled as needed without additional programming. Visibility and Control – Manage apps, users, and devices from a simple centralized dashboard for enhanced visibility and control of mobile deployments.